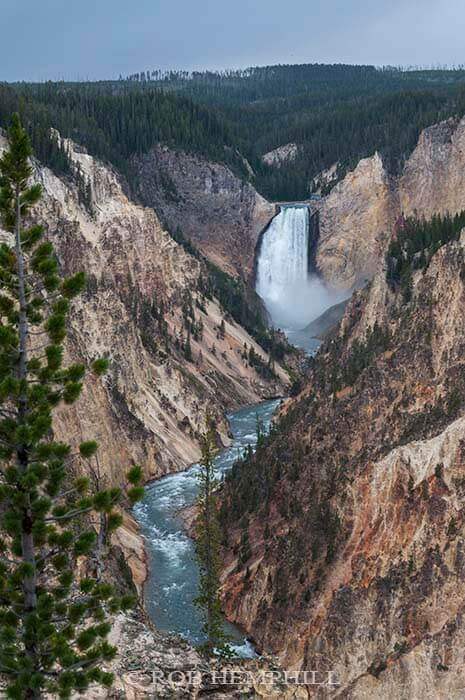 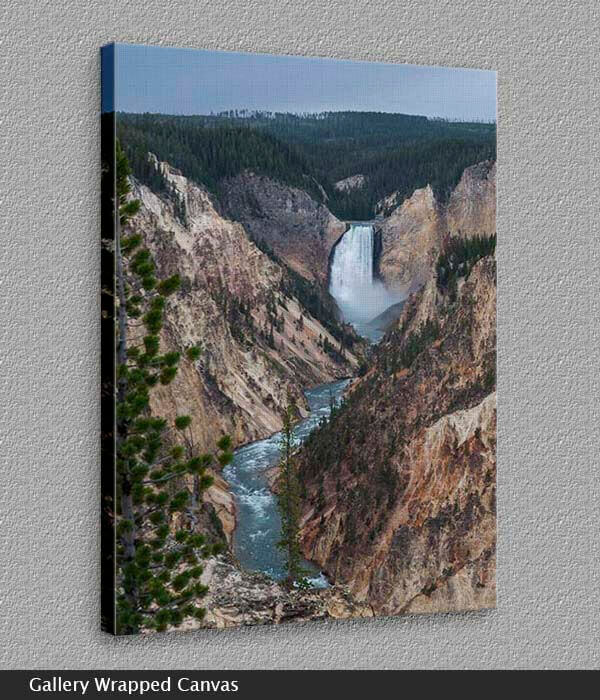 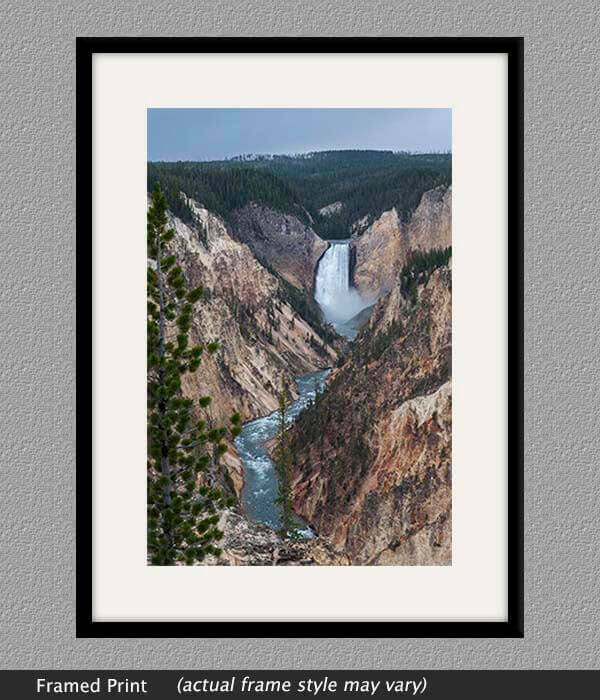 Lower Yellowstone Falls is the largest volume waterfall in the Rocky Mountains of the US. The falls are stunningly beautiful and have inspired Native American tribes, fur trappers and explorers alike, and are 308 ft (94 m) high. This view is from the well known Artist's Point 3 miles downstream. The Falls are located just to the south east of Canyon Village in Yellowstone National Park.